Red Bobble There are 7 products. 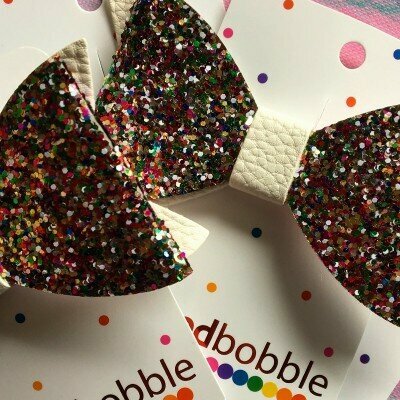 Red Bobble make girls accessories with love, pride and a little sprinkle of handmade magic. 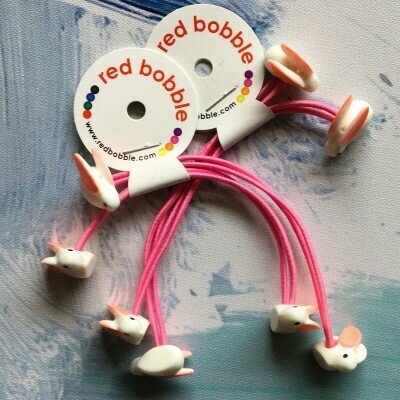 Assembled by hand right here in Melbourne, Red Bobble is for those who love unicorns, glitter, rainbows and lots of fun! Every little girl needs a giant glitter bow clip in their hair. Sparkly girls accessories are always well worn! You are purchasing one pack containing one clip. Red Bobble - Coloring your world with a little sprinkle of hand made magic! 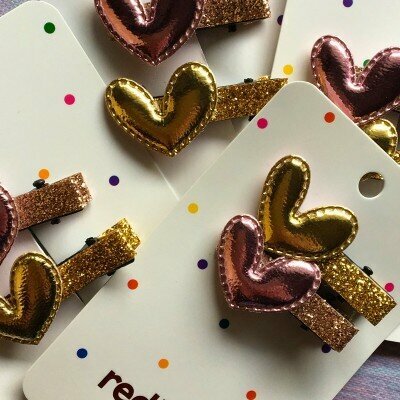 These metallic heart clips will add some extra pretty to your little girls hair....Red Bobble girls accessories have a funny way of doing that! You are purchasing one pack containing two clips. Red Bobble - Coloring your world with a little sprinkle of hand made magic! 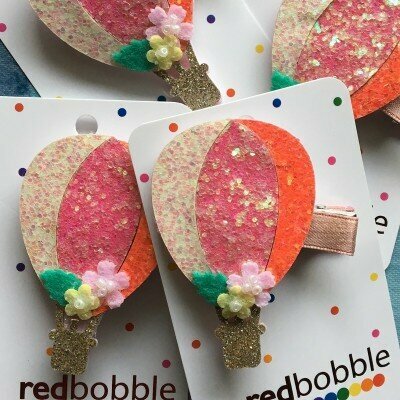 These glittery balloons will add some extra pretty to your little girls hair....Red Bobble girls accessories have a funny way of doing that! You are purchasing one pack containing one clip. Red Bobble - Coloring your world with a little sprinkle of hand made magic! Red Bobble girls accessories puts the cherry on top of any outfit with these adorable ties! You are purchasing one pack containing two ties. Red Bobble - Coloring your world with a little sprinkle of hand made magic! 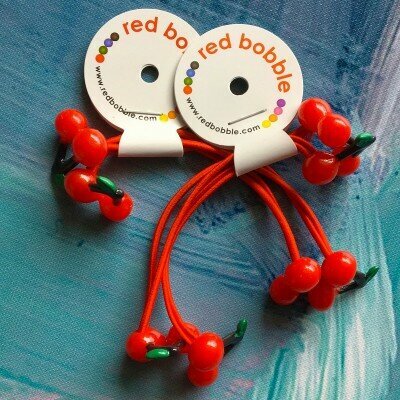 Red Bobble girls accessories are adorable and lots of fun. These Mini Bunny Ties are no exception! You are purchasing one pack containing two ties. Red Bobble - Coloring your world with a little sprinkle of hand made magic! 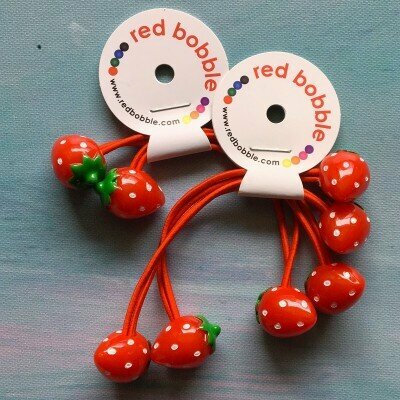 Nothing is sweeter than a red ripe strawberry....except for Red Bobble girls accessories of course. You are purchasing one pack containing two ties. Red Bobble - Coloring your world with a little sprinkle of hand made magic! 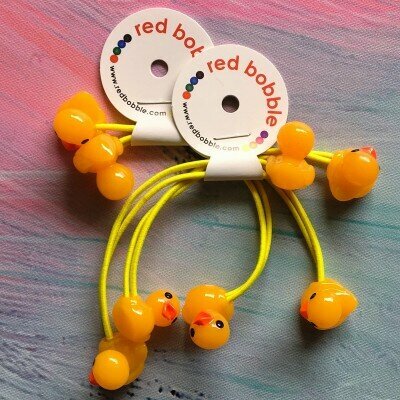 How cute are bright yellow ducklings...even more so in your little girls hair! Hair accessories have never been so adorable! You are purchasing one pack containing two ties. Red Bobble - Coloring your world with a little sprinkle of hand made magic!